Winter is will be arriving soon and this is a great time to develop or review your inclement weather plan. In fact, it seems that some winters we are better than others in terms of the amount of snow that we get,however, it is vital that parents know what to expect in the event there is inclement. 1. Connect with your local news channel to find out how you can list your snow or closing schedule in the event of inclement weather. 2. Post a notice of your inclement weather procedures on your door and insert the notice in your parent handbook. 3. Have a list of your parents contact information at home with you; so that you can send out a group text about your planned snow or closing schedule. 4. If you plan to cancel transportation, notify parents at least 2-hours before school starts to allow parents enough time to locate back-up childcare. 5. Ahead of time, purchase ice melt or salt for your sidewalks to melt ice on your side walks. 6. Have a contract with a snow plow or landscaping company to clean your parking lot before your business opens in the event of inclement weather. 7. When conditions are too icy, you may want to consider planning a later opening time to allow staff and parents time to get to the center. 8. Post your plans to open later or close during inclement weather on your social media pages; at least 1 hour before your scheduled open time. I hope that you have found the tips in this blog post to be quite helpful to you. I look forward to hearing about how you plan to prepare in the event of inclement weather. 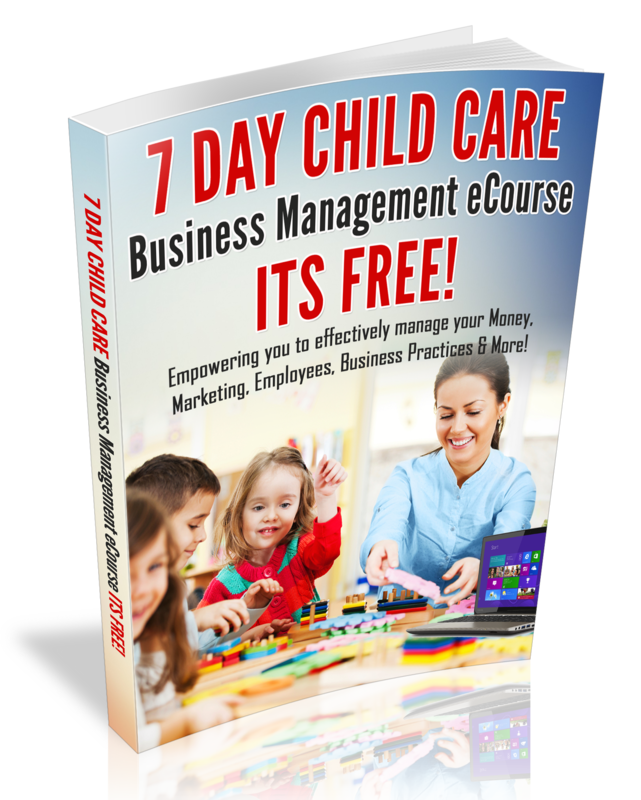 Be sure to subscribe to my weekly Child Care Owner business eNewsletter & Business tips. You will also get weekly or bi-weekly video/podcast tips. Subscribe Now! Consider a child who has a severe and potentially life threatening allergy. A severe allergic reaction can occur within minutes of a child’s exposure to an allergen and they must be treated with their emergency medicine as soon as possible. This is where an Emergency Action Plan comes in. An Emergency Action Plan is a critical document in managing medicines safely because it describes in one place everything your staff need to know to follow an emergency scenario through to conclusion. In an emergency you do not want your staff having to refer to multiple documents. A plan will set out the priority order in which actions should take place and it should define when medicine should be administered. If the course of action is dependent on the type of symptoms then these must be listed alongside the actions to take. For example, in an allergic reaction mild symptoms may require antihistamines to be administered but severe symptoms may require an EpiPen. The action plan should state the dosage and method of administration, and, if relevant, who is trained to give it. Overall, the plan must give your staff the information to act fast and with confidence. When a child with medical needs joins your program you should draw up an individual Health Care Plan or special care plan which identifies the level of support that is needed. emergency procedures. If the child requires medicines, you should have a Medicine Information Form which you complete with the parents to collect information about the medicine and its usage. These forms are also used to obtain permission from parents for you to administer medicines on their behalf. The Health Care Plan and Medicine Information Form can both be used to create the Emergency Action Plan. children’s health and ensures that you do not breach your Duty of Care.